The Old School servers are live and here in Community Management we're soaking up the nostalgia as we head back in time to 2007. With tens of thousands of players having already worked their way through Tutorial Island and up into the ranks of the hiscores there's never been more of a buzz in Lumbridge! We've got some great competitions running to celebrate the launch of Old School RuneScape – the first of which was asking you to guess when the Old School Servers would launch – we can happily announce that Medianoche77 is the lucky winner with his guess of 4:06pm! That's not all – we're looking for the top achievers in each of the 23 skills available in Old School RuneScape to award prizes to! Think you've got what it takes? 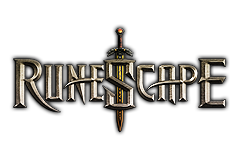 Head on over to the Old School RuneScape forum and sign-up now!